Since your TV is most likely the focal point of your living room, choosing the right piece of furniture to display it on is a tough decision — especially with so many choices in entertainment centers. 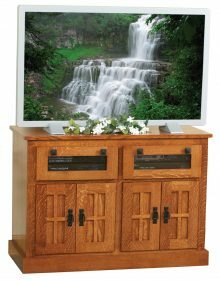 At AmishOutletStore.com, we have a variety of mission style TV stands for you to choose from, with one of the most popular being our mission flat wall TV stands. Our mission flat wall TV stands are beautifully designed to flush against any wall in your home. Mission style designs focus on high-quality handcraftsmanship. 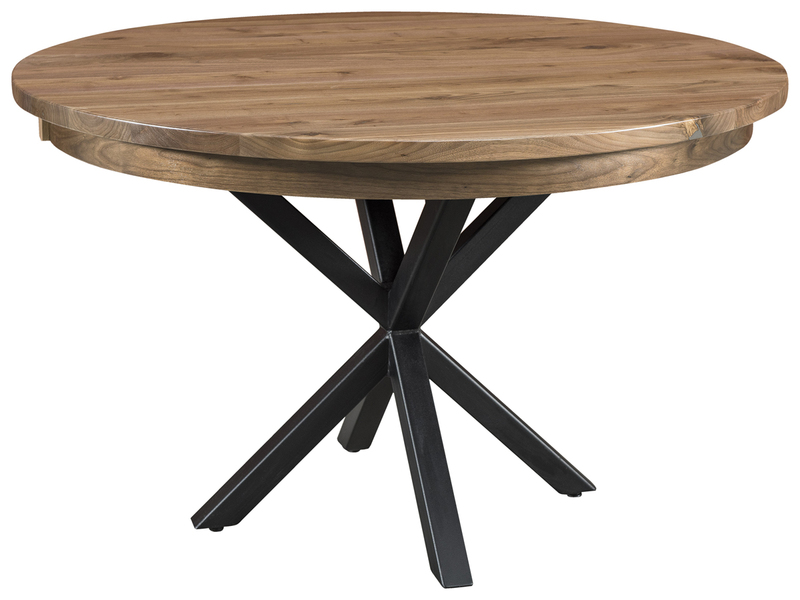 A mission style stand features stable legs and a rectilinear design that adds a unique look to your home décor. 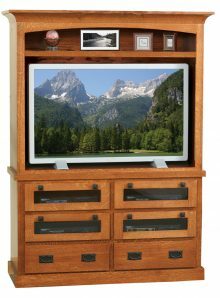 Each of our mission TV stands is made from quality wood to ensure your furniture is built to last. No matter the size of your television, we have the perfect stand for you. 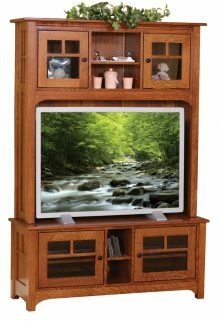 You can also our entertainment centers to house TVs, DVD players, stereos, books and knickknacks, or simply for additional storage space. Our furniture features unique combinations of drawers and shelves, so you can find the perfect storage solution for all your entertainment technology. 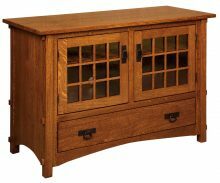 Some of our entertainment centers have glass doors, while other contain solid wood doors. 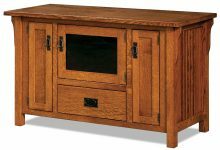 The ability to customize the wood type and stain color of your TV stand will help you match your current home décor. 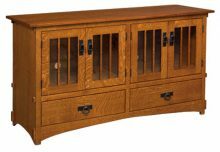 Entertainment centers are available in wood types such as oak, cherry and maple. With a variety of light and dark stain choices, too, you can ensure you get the perfect finish. If you want to redesign an entire room, we have a variety of furniture to match your entertainment center. Choose from our wide selection of sofas, chairs, fireplaces, coffee tables, bookcases and more. 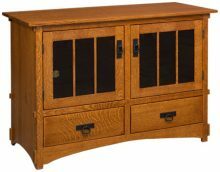 At AmishOutletStore.com, we use high-quality, solid wood to custom-make each of our furniture pieces. A new entertainment center will catch the attention of all your guests. Our expert Amish crafters use proven techniques that have been passed down from generation to generation. 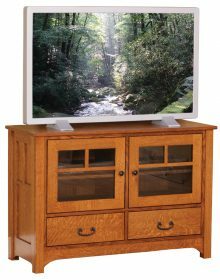 Let your family spend quality time together gathered around a gorgeous new mission flat wall TV stand. Order now to get up to 33% off the retail price.